Welcome, everyone, to the first pedal post of the rest of your lives! Today I’d like to (try to) be brief and just talk about a few shiny things that caught my eye from this past week at NAMM. With each passing NAMM I always hope the Land of Pedals will become more diverse, that cool new things will be made. I’m sad to say the Land of Pedals got a little bit more gentrified with even more overdrive/distortion/fuzzes that all are transparent yet crunchy (even in milk! ), give you lots of clipping options, blah blah blah (how many iterations of the Tube Screamer does one need??) and not a lot of innovation. Stutter delays seem to be the other hot ticket right now – everybody and their mother’s third cousin twice removed once inserted made one of those. Like, hellllo? Don’t get me wrong, they’re cool, but not THAT cool. Let’s move on to other ideas please! If you’ve never heard of WMD or their Geiger Counter bit-crushing/sample rate-reducing distortion pedal, I suggest you familiarize yourself now. I’ll wait. All I can say is these guys are known for weird stuff that boasts an amazing amount of control over the sounds their devices make. 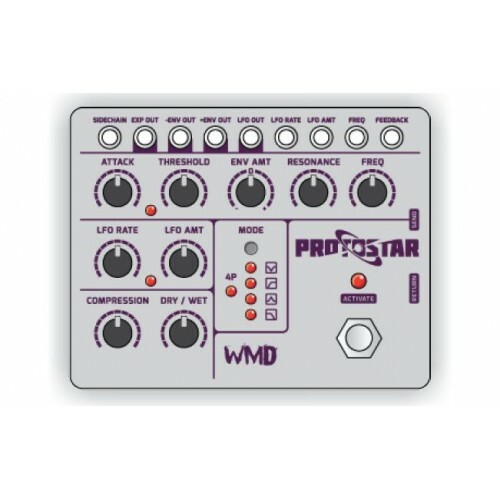 The Protostar is based on their Super Fatman Envelope Filter and is a literal filtration playground, offering multiple filter modes, a CV patch bay, dry/wet mix, post filter compression, internal LFO, variable envelope control and more. Check out the little video below for a taste. Malekko has been releasing cool synth style effects lately, which seems appropriate as they have a whole line of modular synth modules. Although these two pedals were technically revealed at last year’s NAMM, they were at this year’s NAMM and still haven’t been officially released so I consider them fair game. Plus, they’re way cooler than most of the other ‘new’ stuff. This is a VCA (voltage controlled amplifier) amplitude based dynamics engine for controlling your volume similar to attack/decay controls on a synth. You can set attack and decay time with short or long envelopes (up to 6s for both, offering envelopes up to 12 seconds in length). I like that the envelope can be driven manually (say by your guitar signal or an input trigger), or by an LFO. (Driving the envelope with the LFO produces unique tremolo effects.) I assume manual mode will allow for those Slow Gear style volume sweeps, or at least I hope! 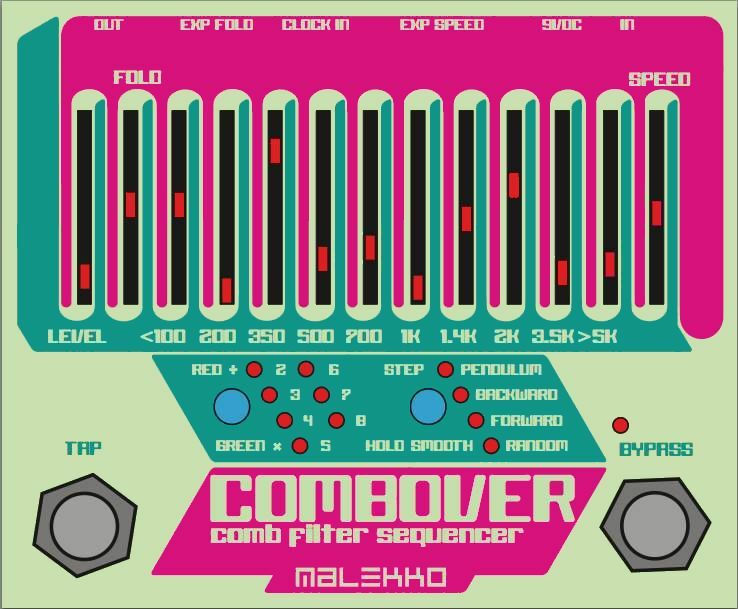 The Combover is a spectral comb filter with a sequencer, sort of reminiscent of the ZVEX Seek Wah (which is basically an envelope filter with a sequencer). The Combover can also be used as a notch or comb filter, which allows you to hone in on specific frequencies and really carve out your place in the mix. Or, by running the sequencer you can produce filter-modulated rhythmic grooves that entrance. Another worthwhile feature is the multi-mode sequencer with settings like Pendulum, Backward, Forward, and Random that can add exciting new movement and filter-modulated sounds to your tone cache. -A full featured delay the likes of which only Chase Bliss could unleash. Basically an analog delay with digital control over every possible parameter, plus control over parameters you’ve probably never heard of on any pedal (other than one made by Chase Bliss). -A voltage-controlled envelope filter for all those auto-wah sounds, plus sample and hold capabilities for tripped out step filter Frank Zappa sounds. -An enticing delay made specifically for those looking to add a big ethereal wash of delay/reverb to their signal (Hungry Robot says the sound of this pedal would only otherwise be possible with three or four stacked reverb/delays), but with the ability to keep your guitar on top of the mix so you don’t get muddy. Mud bad. That’s all for now, thank for reading! I hope you feel a little bit more with it now that you know the scoop on the hottest new pedals. 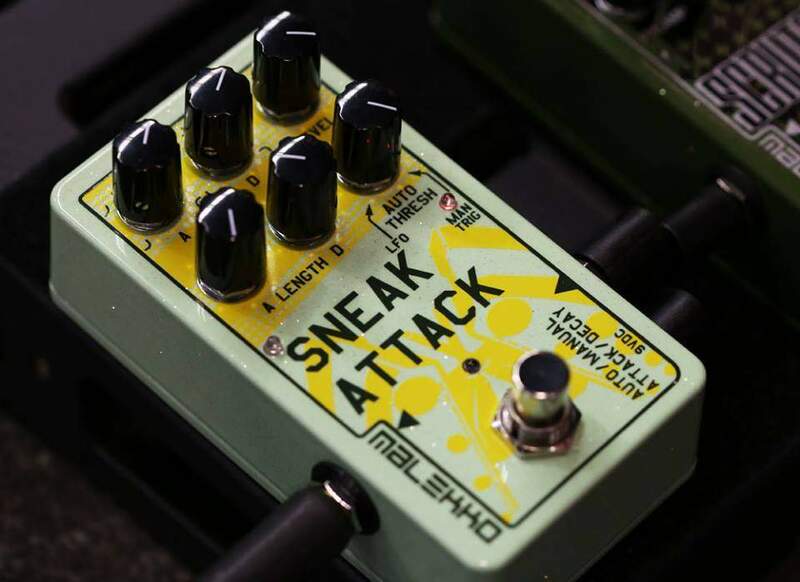 No need to thank me, just stick around for more….you guessed it, PEDALS! This entry was posted in ADSR, Delay, Effects Pedal Manufacturers, Filter, LFO, Modulation, Reverb, Synth, Tremolo and tagged Chase Bliss Audio, Combover, earthquaker devices, effects pedals, Hungry Robot, malekko, NAMM16, Protostar, Sneak Attack, Spatial Delivery, the pedal file, The Wash, Tonal Recall, tone, WMD. Bookmark the permalink.